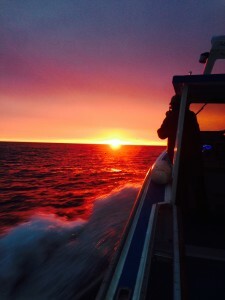 Our sunset tours have been stunningly beautiful! 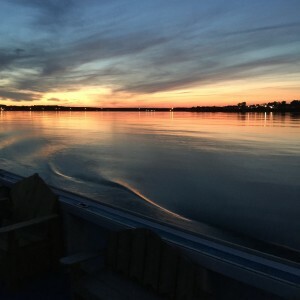 The perfect way to end a PEI day. Our visitors would agree – read our reviews on Trip Advisor. 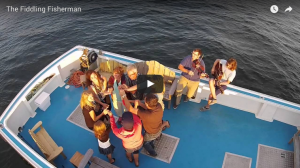 Now is the time to book your Lobster Lovers experience with The Fiddling Fisherman onboard Chaisson A Dream. Check out this sunrise! Topping off this experience, you will boil up your “fresh out of the trap” lobster. It can’t get any tastier! 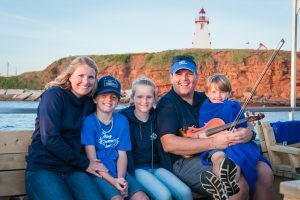 It’s an unforgettable PEI experience. Book now for this Summer! Here they are… Fiddling Fisherman SPOONS! Made by J.J. from lobster trap posts in a stained or natural finish! Available now for $20 plus shipping (if needed). Great authentic gift for the music lover! 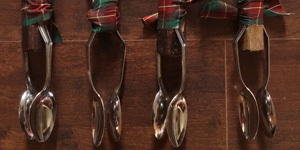 These spoons will be a part of the Jigs & Reels experience starting this summer onboard the Chaisson A Dream!